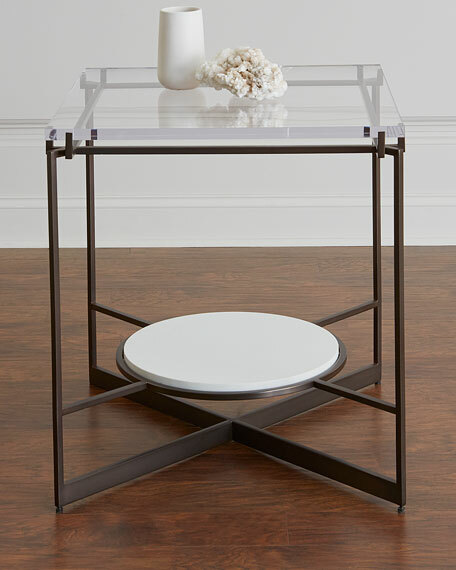 The sleek base is stainless steel with dark oil rubbed bronze finish. 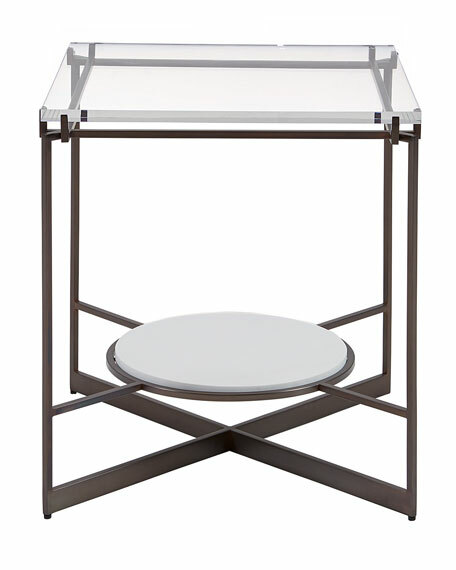 Resting gently above it creating a tiered effect is a clear acrylic top which provides a view of the round white quartz shelf below. 24.5"W x 24.5"D x 26"T.
Light assembly may be required to attach base and top. Boxed weight, approximately 61 lbs. For in-store inquiries, use sku #2504289.